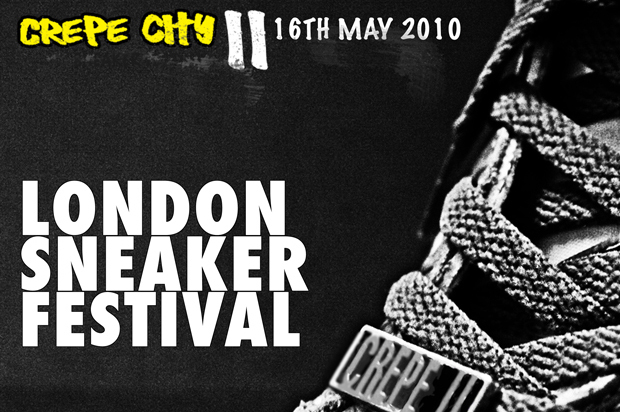 This Sunday (16th May) sees the return of London’s sneaker festival, Crepe City. Once again taking over the prestigious West London venue, Notting Hill Arts Club will be transformed into a sneaker and streetwear heaven for just one day. Kicking off with a sneaker sale at 1pm, make sure you get down in plenty of time so that you can fight over the collectable sneakers on offer. Along side all the sneaker madness will be a streetwear sample sale including an exclusive drop from London’s very own Trapstar – that’s clearly gonna attract a lot of attention! For the sneakettes, Wah Nails will be down all day hosting a nail bar. DJs are gonna be spinning tunes all afternoon and well into the night as it carries through into the after party. Some cool highlights of the day include free giveaways, a Streetfighter 2 challenge and my personal favourite … actual french crepes. 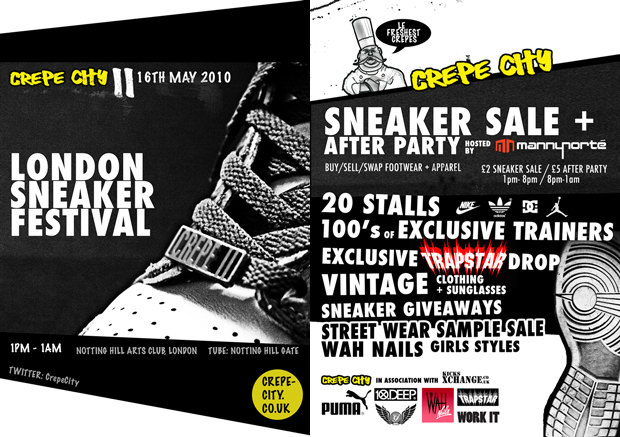 Get down for a full afternoon of sneaker related goodness, and maybe even cop yourself a pair of “Le Freshest Crepes”.